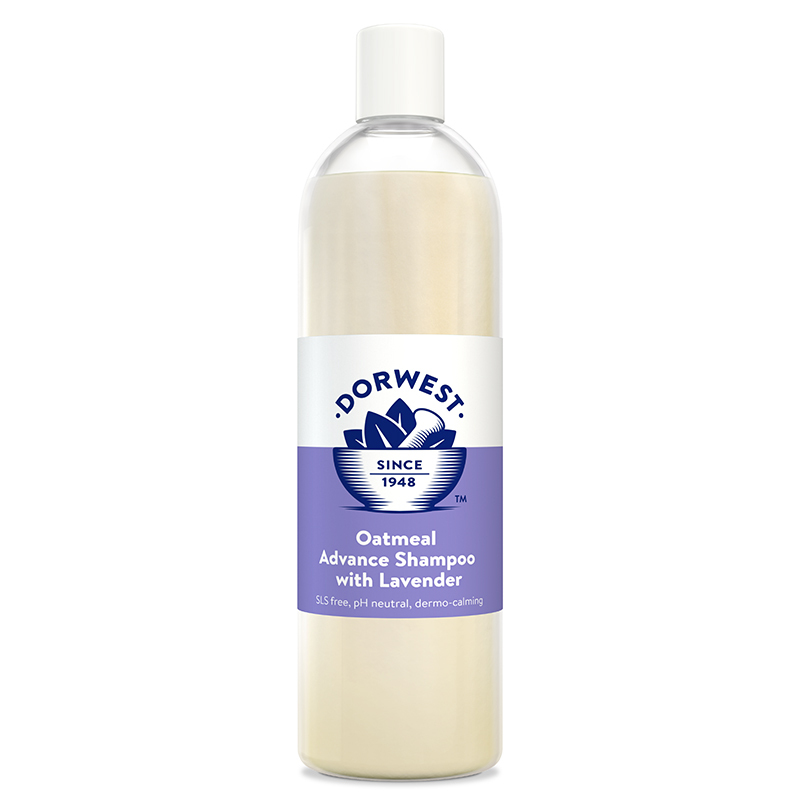 Dorwest Herbs Oatmeal Advance Shampoo is a shampoo which effectively cleanses the coat and promotes healthy skin. It contains colloidal oatmeal, lavender oil and lavender extract, and glycerine. The combination of these high quality natural active ingredients helps to encourage healthy, supple skin. A pH of 7 ensures this shampoo works harmoniously with your pet’s skin to maintain its natural balance and help to retain the skin’s natural protective properties. Contains absolutely no SLS/SLES, artificial fragrances or colouring. 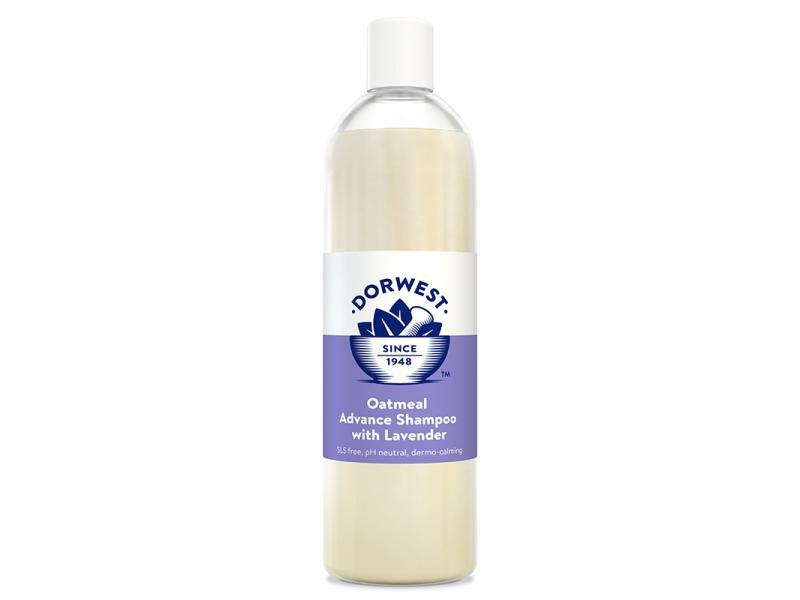 Below are some recent questions we've received regarding Dorwest Herbs Oatmeal Advance Shampoo, including answers from our team. Do you apply the product and wash it off like a regular shampoo or do you just rub it in and leave it? You use it like a normal shampoo and wash it off. It's not a leave-in shampoo. This is actually suitable for all pets according to the Dorwest website. So there actually isn't an animal specific version. The bumps on the back could easily be a reaction to something. If the skin was perfectly OK before using the shampoo and then the reaction appeared soon after using it, the shampoo would have to be suspected as the cause. However this shampoo is usually very free from such effects and is usually used in situations when the skin is already reacting to something (such as flea bites). You will have to judge this yourself but if you think the shampoo could be implicated, you should avoid using it for the time being. If the reaction persists, I would suspect some other cause is more likely.